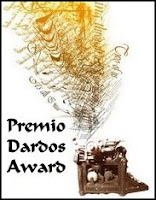 4 the LOVE of BOOKS recently received an award called the Premio Dardos Award. This honor was bestowed upon me by author Linda @ Katie & Kimble Blog a previous recipient of the award. 1) Accept the award by posting it on your blog along with the name of the person who has granted the award and a link to her/his blog. 2) Pass the award to another 15 blogs that are worthy of this acknowledgment, remembering to contact each of them to let them know they have been selected for this award. Thanks! I am in the middle of another book proposal so when I get a chance I will try to get my list together. Thanks so much, Abi! I'm honored to be chosen! I'll post on my blog soon! daughter's reading list for June..